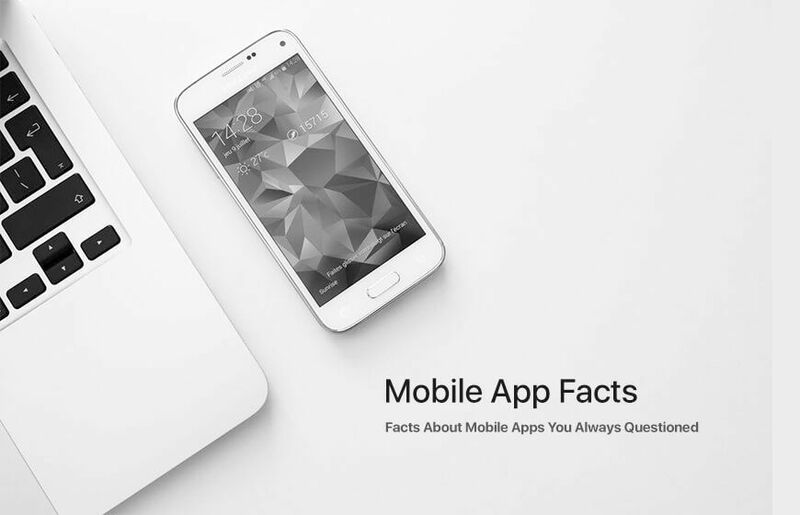 Let’s find out some interesting facts about the Mobile apps which perhaps you did not know. Smartphone apps have been a great source of new insights in our lives since its evolution. Breaking all the boundaries of imagination and limitations Smartphone apps have changed the way we think, live and make a move to get things done. Mobile apps showcase the unbelievable opportunities for any business to flourish. Smartphone apps have brought a drastic change in the way we communicate, do business, experience entertainment, and manage our lives. Mobile app system is one of the biggest industries on earth today. It is comprised of millions of mobile app developers and billions of smartphone app users who use mobile apps on the daily basis. 1 - Did you know that 180 Billion apps were downloaded from Apple app store till now? Around 180 billion mobile apps are downloaded from Apple App Store till now. This data is remarkable for Apple device users, most of the smartphone applications were gaming apps which have got itself qualified in the most popular iOS app categories. Apple’s gaming app category was downloaded for 22.49 percent of the times. However, business mobile apps were the second favorite which was downloaded with a huge amount of shares of 10.38 percent. 2 - This is Unbelievable - The Total Number of Android Apps available are 2.8 million! Google Play store is leading when it comes to owning the variety of smartphone apps in a huge amount. With the total of 2.8 million apps for Android devices, Google Play store has topped the list. However, Apple iTunes remained the second largest with 2.2 million apps serving the smartphone users. The significant difference in the lower to higher rates of Android apps in India and North America is because of the difference in the cost of developing an app. The average price for an Android app development in India is $26 per hour whereas, in North America, it is $168 per hour. Whatsapp is one of the most popular messaging apps on smartphones around the globe. It has acquired the strongest and the largest customer base in India and the actual strength of its active users are approx. 70 million. Past years have witnessed 50 million active users which have increased immensely by 20 million within 5 months. October 2014 was the remarkable month when the customer base crossed over 70 million. 5 – This is Incredible, Prevalent Android Apps are Downloaded For 1 Billion Times! Google play has grown with Android app downloads for 1 billion times. The most popular Android smartphone apps include Gmail, Google Maps, YouTube, Facebook and a few more. Free and paid Android mobile apps are downloaded for almost 1 billion times. 6 – Facebook was one of the most used and popular Mobile apps of 2015! The results have been indicating clearly that Facebook dominates the smartphone application world. Facebook remains comfortable with its fame of being the best social media app around the globe while acquiring 76.8 percent of Android and Apple mobile users. Whereas, the Facebook messenger has taken the place of the second most popular mobile app. It gets downloaded for 62.5 percent of the times around the world. 7 - Do you know that Social apps consume the time of at least 66 percent of the users? Social media mobile apps have surely changed the lifestyle of the users around the globe. The major amount of traffic was calculated from social media mobile apps in 2015. Users spend most of the time over social media apps like Facebook, Instagram, and Twitter etc. for the longer duration as compared to the other apps while sharing information, pictures, videos, chats etc. Android holds the top position in the list for the massive number of mobile applications download. Yet, the huge revenue which has been generated by iOS platform is remarkable and it is significantly higher than that of Android itself. Despite this huge difference, iOS has placed itself on the top in terms of revenue generation. This is remarkable and definitely more than 75% percent as compared to Android. Mobile applications are anticipated to be generating the total revenue of almost $77 billion by the end of 2017. More than 11 billion applications are expected to hit the mobile application market in the upcoming year, and this makes the prediction seem to be more certain. The upcoming year 2018 is certain to observe the massive and potential increase in the mobile app industry revenue growth. 10 – 2017 end is about to experience the download of at least 268.69 billion mobile applications – Wow! The total of approx. 270 billion apps are set to hit the mobile app market by the end of the year. Increase in the number of smartphone users will also increase the number of new mobile apps. User demand will always be versatile and different, seems that the beginning of 2018 is going to witness some fascinating mobile apps with full throttle. Average Apple users tend to spend the total of at least 40.4 minutes on iPads apps and 50.3 minutes on iPhone apps. Though the usage time limit is higher on iPhone apps, clearly Apple users are more inclined towards iPhone apps. Personalization apps like wallpaper and emoji were hitting the top position charts in 2015. These were the fastest growing app categories which have seen an immense increase of 332 percent. 13 - Do you know that In US, communication apps are the most popular for the users to spend their most of the time? Facebook, Snapchat, and Tinder are among most preferred mobile apps for the US citizens they want to spend the major amount of their time with. Yes, this shows how impactful the role of mobile applications has been in the lives of users. Almost 4 hours and 30 minutes per month are dedicated solely to these communication applications. 14 – Did you know that Smartphone users are more inclined to spend time with gaming apps and the least on lifestyle apps? Smartphone users are more inclined towards spending 43 percent of their total time using the gaming apps. This has minimized the time that they spend on the social media apps or lifestyle apps. Push messages are proven to be the most useful in increasing the user engagement. It leads to at least 30 percent of user engagement in news apps and around 70 percent of user engagement with social media. Consumers spend their most of the time consuming digital media on their mobile devices and this trend is certainly going to continue. Social networking, music, the game represents what exactly people do on their smartphones. Apparently, it is all about communication and entertainment, the two things which help people to stay connected and updated. Mobile apps are important for every user who likes to live active social life. Users focus on the time that they spend on the apps that are important to them, concluding that 80 percent of the people use up to 3 apps more frequently. These insights will give you an idea of how exactly mobile app giants have been performing and what could be the root cause of their popularity and high revenues. Stay tuned for more mobile app news.